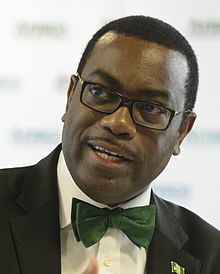 The African Development Bank (AfDB), in multidisciplinary team roadshows, has presented financial products and investment opportunities to Nordic investors to leverage more access to financing for further development of the African continent. The Bank in a statement noted that it presented its strategy for the transformation of African economies and showcased investment opportunities on the continent in a highly interactive event targeted at commercial banks, institutional investors including pension funds, asset managers and insurers as well as individual investors across the Nordic region. Nordic countries are a group of countries in Northern Europe that include Denmark, Finland, Iceland, Sweden, Norway, and the territories of the Aland Islands and the Faroe Islands. Olivier Eweck, director, syndication, co-financing and Client Solutions Department said that “Nordic countries are very important for the development of Africa and we want to see more investments coming from these countries. He added that the roadshows were hence organised to showcase African investment opportunities and to present the Bank as a gateway for their investments. “Several private investors and companies have shown keen interest in the Africa Investment Forum,” he said. The AFDB team also discussed key roles in accelerating Africa’s investment opportunities across the Nordic region in line with the Bank’s development priorities for Africa as enshrined in its High 5s. The High 5s are to: Light up and Power Africa; Feed Africa; Industrialize Africa; Integrate Africa; and Improve the Quality of Life for the People of Africa. The Bank thus sees its partnership with long-term investors from the Nordic region as important and welcomes their perspective and visions to support new investments in infrastructure, and to foster sustainable development initiatives in Africa. According to the bank, the roadshows also generated significant interests of businesses to the Africa Investment Forum, the Bank’s maiden market place, scheduled for November 7-9 in Johannesburg, South Africa. The roadshows brought together more than 50 private sector companies, investors and government and public institutions in Norway, Sweden, Finland, and Denmark.